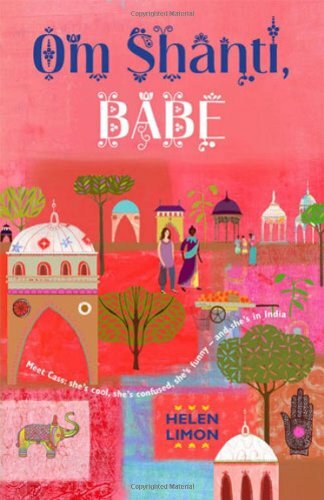 When Cassia drops out of school after a huge row with her best friend, her mum Lula has to bring her along on a trip to Kerala, buying goods for her fair trade boutique back in London. Hoping for a taste of Bollywood glamour, and certain she is going to impress with her urban dance moves, our heroine is in for a shock when she steps off the plane and finds real life in India doesn’t look much like the movies. Cassia makes a loveable protagonist from the start – self-deprecating, laugh-out-loud funny, sweet, and wrong about almost everything. Helen Limon creates a warm and vivid backdrop to the story, from the bustle of the city streets to the tranquility of life on the Keralan beach. Using colour and fragrance, she captures a most inviting world into which she weaves subtle layers: the importance of fair trade and caring for the environment; the realisation that idols are not always what they seem – and neither are parents. Yet, the witty tone stops it from ever feeling overly earnest. As Cassia adjusts to life in Kerala, she becomes involved in a local environmental lawsuit, not to mention discovering that her mum has a local boyfriend, ‘Call-me-V’, and that their shop back home is on the brink of closure. Her story bears the hallmarks of a coming-of-age tale, but she doesn’t grow up too far from the 8-12 readership. Chiefly, Limon spins a story that recognises the principle worries of many children are those of fitting in, making friends and belonging. Helen Limon won the Frances Lincoln Diverse Voices Award 2011 for this novel. The award is for a manuscript for 8-12 year olds that celebrates cultural diversity in its widest possible sense, either in terms of its story or the ethnic and cultural origins of its author. Although she has published other books for children, Om Shanti, Babe is Limon’s first novel.